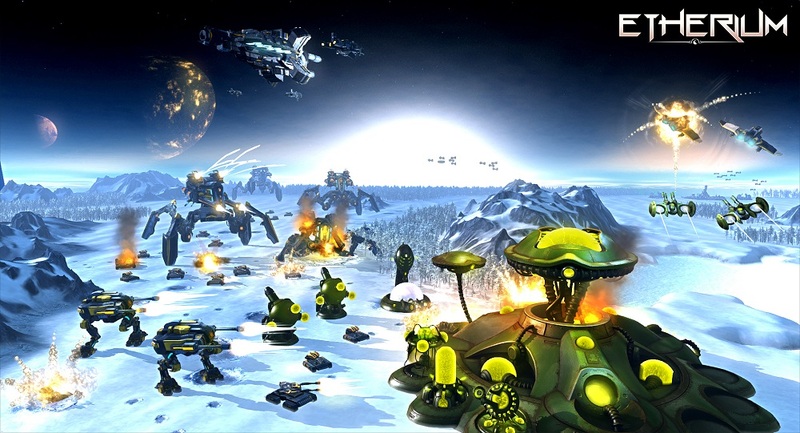 Focus Home Interactive have release three brand new images giving strategy fans a further glimpse of Etherium their new futuristic real-time strategy from Tindalos Interactive the developers of Stellar Impact. The last screenshots released showed us a bit of The Consortium so now it is time for the Galaad and The Council. The Council are a religious order whose gift of foresight is derived from the etherium, their ability to see into the future allows them to predict the actions of their opponents and very importantly the changes in the weather. The Clones of the Galaad couldn't be more different; a technologically advanced race brought to seek out etherium due to their extremely short lifespan. However their mastery of science enables them to control the weather and unleash certain death to unsuspecting players. In Etherium three empires are locked into an endless struggle to control etherium a precious resource found on only a handful of planets. You take the helm of one of the three factions, each with its own characteristics, strengths, weaknesses, technologies and special skills that could see you using climate control, espionage or even precognition on your enemies. What makes Etherium so different to your standard real time strategy is that the solo campaign is nonlinear which means that you are free to manage your resources, expand your colonies and extend your control whichever way you see fit. 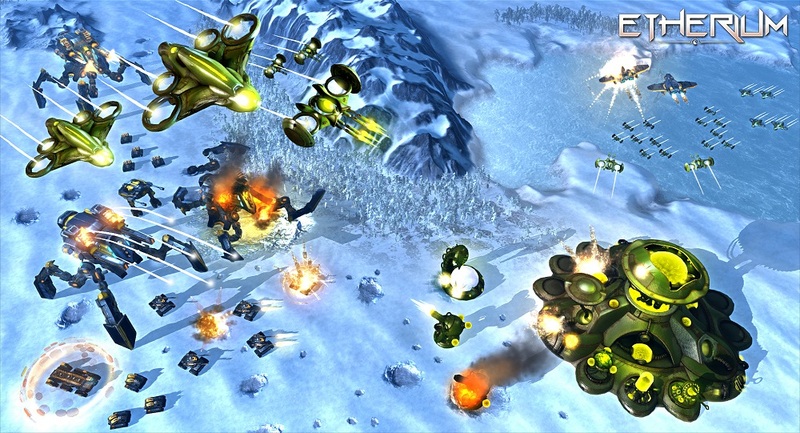 Not only that, but Etherium features a dynamic weather system that will have a direct impact on your strategies; approach an enemy base under the cover of a sandstorm, or cross a freezing river to flank your opponents, each of the seven planets has a diverse environment that forces you to adapt your strategy to best your enemy and survive. It's not strictly single player though, Etherium offers online modes with up to four player simultaneous play, if you're into that sort of thing. 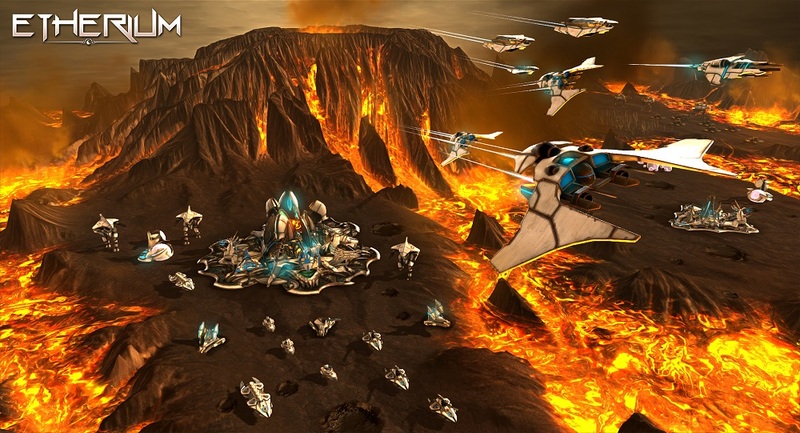 Etherium, like all good strategies will be seeing a release on Windows PC later this year.